Lumist is one of the easiest tools you’ll use in Photoshop. But designing it pushes both Photoshop and my brain to the limit. It’s a strange beast because it’s adding a feature to Photoshop that should have existed years ago but does not. The ability to see and control luminosity perfectly. The goal is to make the process of our one of a kind tone system work as if it was meant to be part of Photoshop. Behind the scenes, however, it’s the most complex set of actions you can imagine. Every time I do major updates on Lumist it’s a battle of math, functions and usability going on in my head. This update does not change a lot on the surface of Lumist but I’ve spent days puzzling out how to make things do what I need. Lumist 2.2 is a big update. First I resolved a pesky bug that was causing Zone section to be incorrect when more than one Zone was selected. I’ll spare you the details but suffice to say your Zone selection should be perfect now as you select and edit in real time using the Live Map. Nex,t I totally revamped the Total Scale. Both of them. 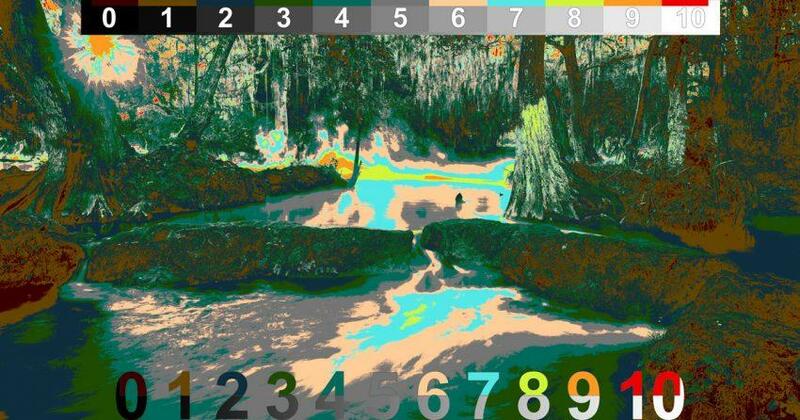 That’s the numbers scale that shows you each zone and the colors that it corresponds to in the map. The ends of the scale show pure highlight and shadow clipping that is also shown in the map. This will the an obvious change, in 2.2. Speed is always something we’re looking to improve. The problem was the Total Scale has to build every time you run the map. So we made a new scale that’s cleaner and FASTER (bottom). The top half of the numbers show the color of a Zone on the map while the bottom shows the grey scale zones they represent. It’s clean and it runs a lot faster. That said you can still ad the newly revamped Classic Total Scale (top) using the button at the top of Lumist. If you really hate the new scale you can even switch back to classic by simply switching the names of the actions “Seim Total Scale” and “Seim Total Scale2” down at the bottom of the Lumist set. There’s no need to resize the scale on lower resolution images anymore. It should place perfectly when you run the map automatically. This apples to both the new and the old style scale. Lumist has help me improve my images and cut down my post processing time. I am amazed at how quickly I can bring out the details in my images. Thank you.